This single mom has gone viral for the brilliant way she spent her tax return. Tax returns, if you're lucky enough to get one, are basically free money that is meant to be spent on lavish trips and Lotto tickets or just burned in a fire, right? Not necessarily. 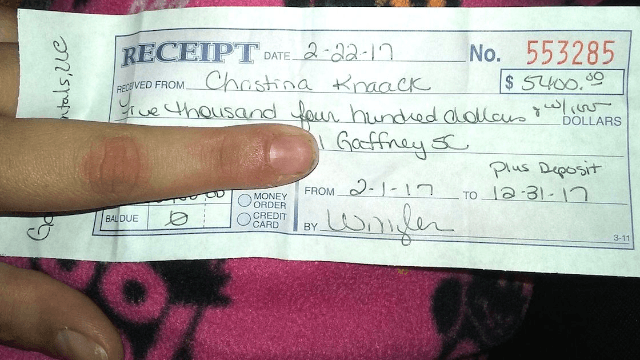 Christina Knaack is a single mother who received a whopping tax return of $5,600. But instead of going on a week-long shopping spree, she decided to spend it on a roof over her and her kids' heads by paying her rent for an entire year, in advance. I got back $5600 on my taxes. Instead of buying my kids the latest Jordans or fancy electronics I paid my rent for the YEAR. I'm a single mom and I do it all buy myself on a minimum wage job. I kno that a roof over my kids head is what's important. My kids don't want for anything because my priorities are straight. And this also means I will have that extra 450 a month to do things with my kids. 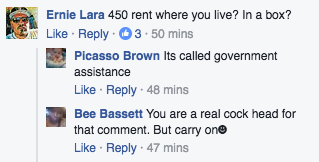 Knaack's post has been shared over 80,000 times on Facebook, which just shows that this kind of responsible spending is super rare. But Christina Knaack seems like she's doing just fine on her own. BYE, HATERS.